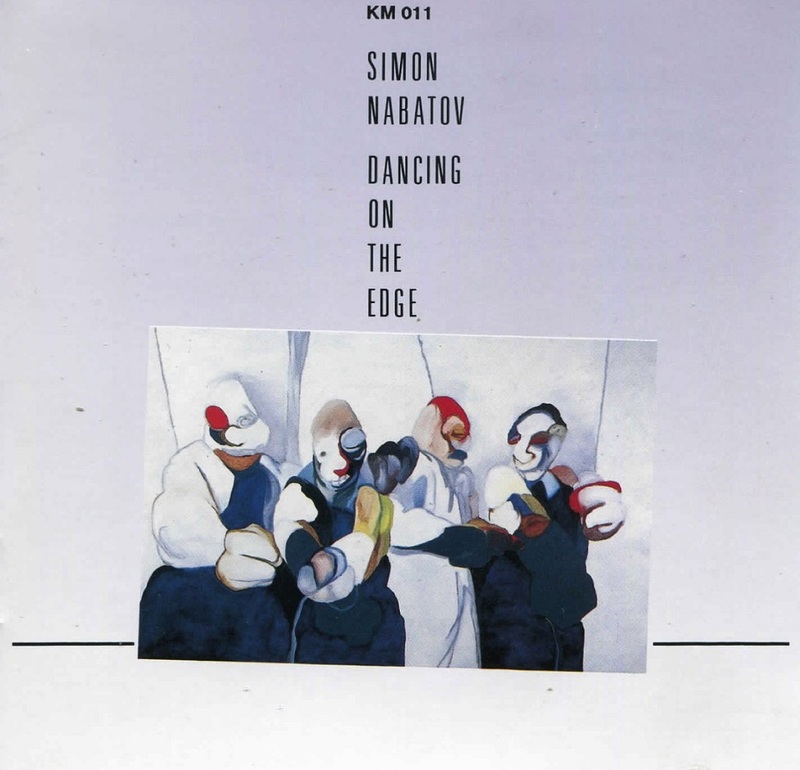 „Dancing On The Edge“ is the first of my albums on Bandcamp which fall into category „Oldies but…“, some audio documents which became „homeless“, for one reason or another. This solo recording was made in 1990. I am playing here the world tallest upright piano, designed and built by the German piano technician from Bonn called David Klavins. To promote this unique instrument, David organized many concerts in the Klavierhaus Klavins Bonn, the piano shop he ran together with his brother. Additionally he founded a label, KM (Klavins Musik), solely dedicated to capturing the sound of his invention. A few dozens of recordings were made, featuring the giant piano in programs of classical, avant-garde, improvised and jazz music. I was quite fascinated by it’s qualities, and, asked by David to contribute to the growing catalogue, agreed immediately. I wrote all eight pieces for that session; some of them display the unusual qualities of the instrument, for instance the bass register - after all, the longest strings measure slightly over 3 meters! This made David come up with a special solution: the distance between the hammers and the strings was not the same across the keyboard, gradually increasing from upper to lower register. This posed a somewhat daunting task for the performers, since the applied touch had to be adjusted constantly. Nevertheless, I enjoyed the challenge quite a bit. Beginning of 2017 I was invited to play several concerts on the 2nd International Festival of Improvised Music in Taiwan, taking place in November of that year. 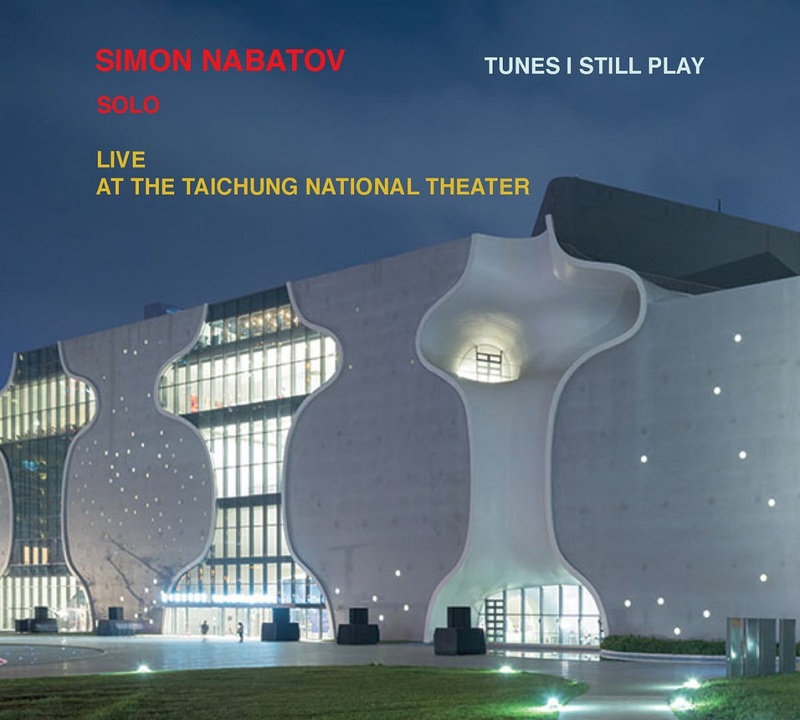 The album „Tunes I Still Play“ is a live recording from the gorgeous new National Taichung Theater, from the „Black Box“ to be exact (a smaller hall for chamber music). This release contains all 11 tunes I played that evening, so essentially it’s a double album. As the title suggests, I played some tunes I have been playing in solo concerts since two decades, if not longer. The program includes music of Thelonious Monk, Herbie Nichols, Bill Evans, Brazilian songs, and my own. While I’ve been mostly performing more „adventuresome“ kinds of music, there is no way I wish to ever sever ties to the repertoire I grew up with, or picked up along the way. New, harmonious, purple – this is how Tilman Herpichböhm describes his new record “The Loft Recordings”. The album was named after the recording location, the Loft in Cologne. The not quite ordinary line-up consisting of drums (Tilman Herpichböhm), ​​piano, Fender Rhodes, synthesizer (Simon Nabatov), ​​alto saxophone (Julian Bossert), alto saxophone (Johannes Ludwig) and double bass (Peter Christof) is appearing especially good in this unfolding free space. There, the alto saxophones can meet sonically, in order to completely alienate themselves again in the next moment – they are the figurehead of the band. 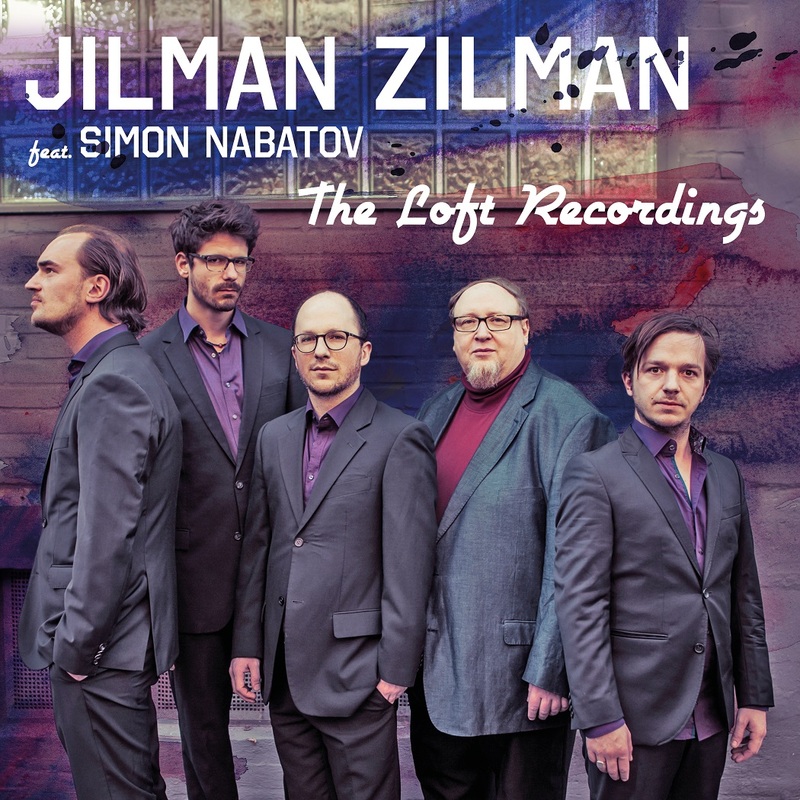 Simon Nabatov is new to the crew, after joint concerts Tilman Herpichböhm wrote the pieces especially for him, making him part of Jilman Zilman. He brings a breath of fresh air to the band – together new and playful compositional and improvisational possibilities are explored. 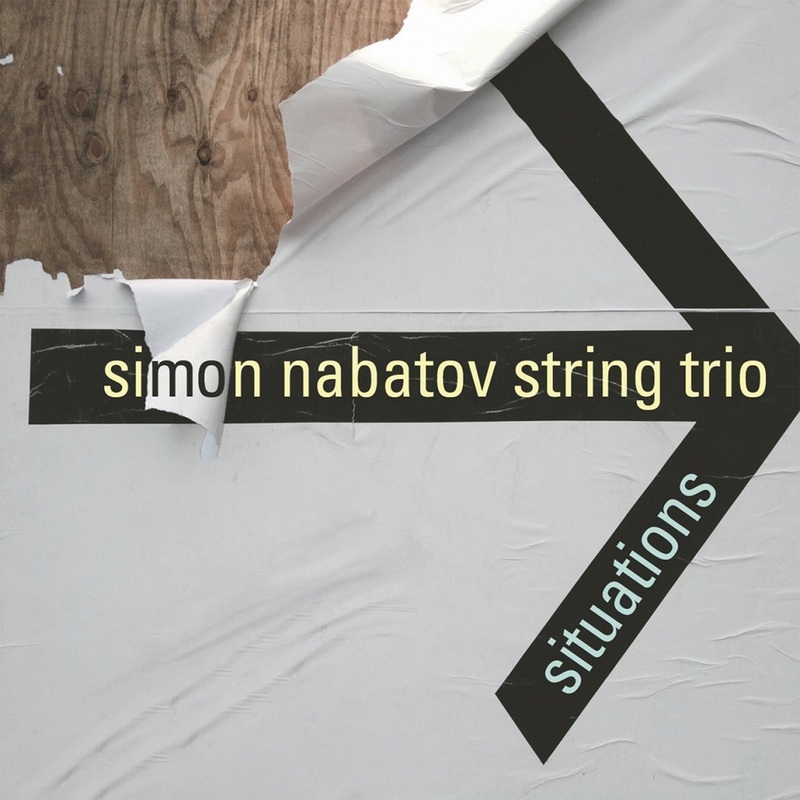 An energetic mixture of oriental-klezmeresque melodies and a virtuoso compositional simplicity that transports the insatiable pleasure of the musicians. Interplay is a requirement, not an option. A special musical sophistication is incorporated in the pieces from the Titaniac Suite “Pier / Pear”: the two pieces come from the live set and transport the audible live energy. The special feature is that in the middle of the bass solo a cut was made, which leads from the first concert evening (acoustic set) to the second concert evening (electric set). The combination of these two songs thus represents the transition that accompanies the listener from the acoustic to the electric version of the band. Tilman Herpichböhm gets his inspiration from everyday life. The idea for ​​the song “Wiegenlied” came from a misguided music box, which a bank once gave his first daughter as a present. Everything he hears himself can influence his compositions. It does not matter where it comes from. The main goal is to cause a reaction. 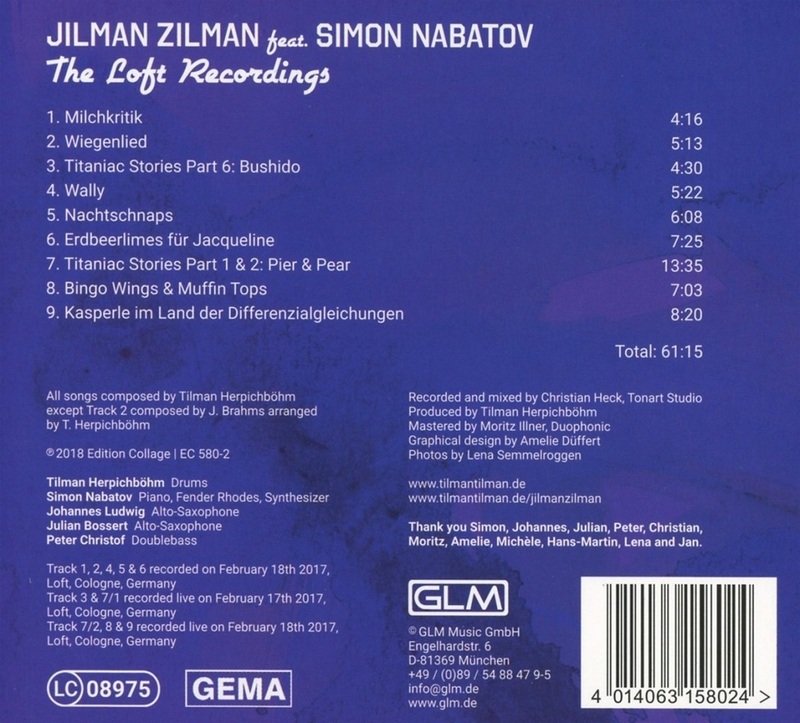 The music of Jilman Zilman should move – what exactly it moves, every individual has to find out by themselves. 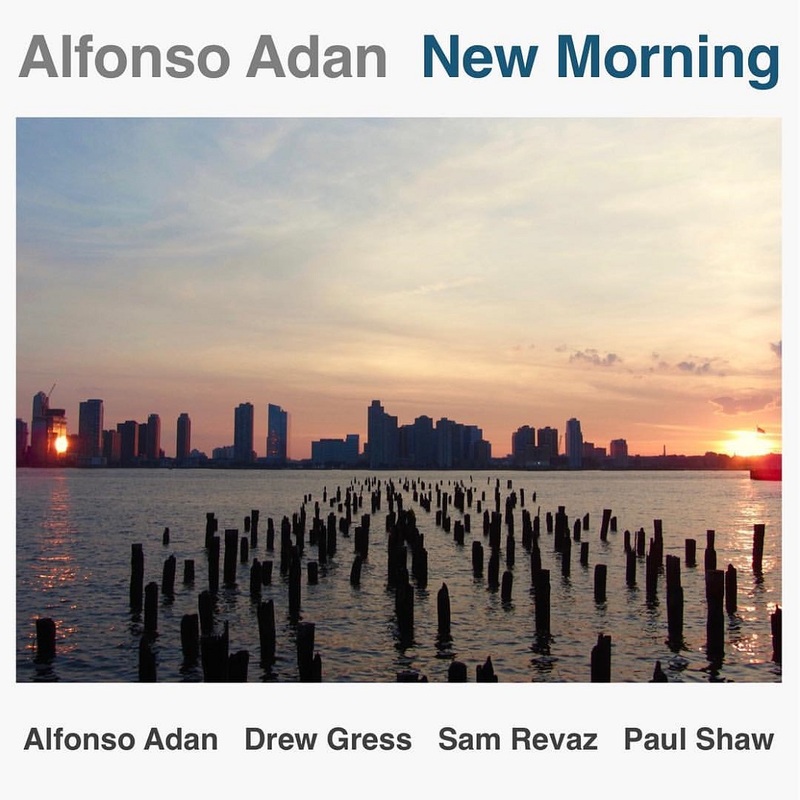 Alfonso Adan is a jazz guitarist, composer and music professor based in New York City. He graduated in Classical Guitar Performance from the Conservatory of Classical Music in Spain (2002), Jazz Performance at Berklee College of Music in Boston (2008), and has a Master Degree in Jazz Studies from New York University in New York (2017). KARIN NELSON, an organist much in demand as a soloist, is an authority in the fields of free improvisation and in Early music. She regularly gives master classes and serves as a jury member in international organ competitions. Currently, she is Head of organ and church music both at the Norwegian Academy of Music and at the Academy of Music and Drama, University of Gothenburg. 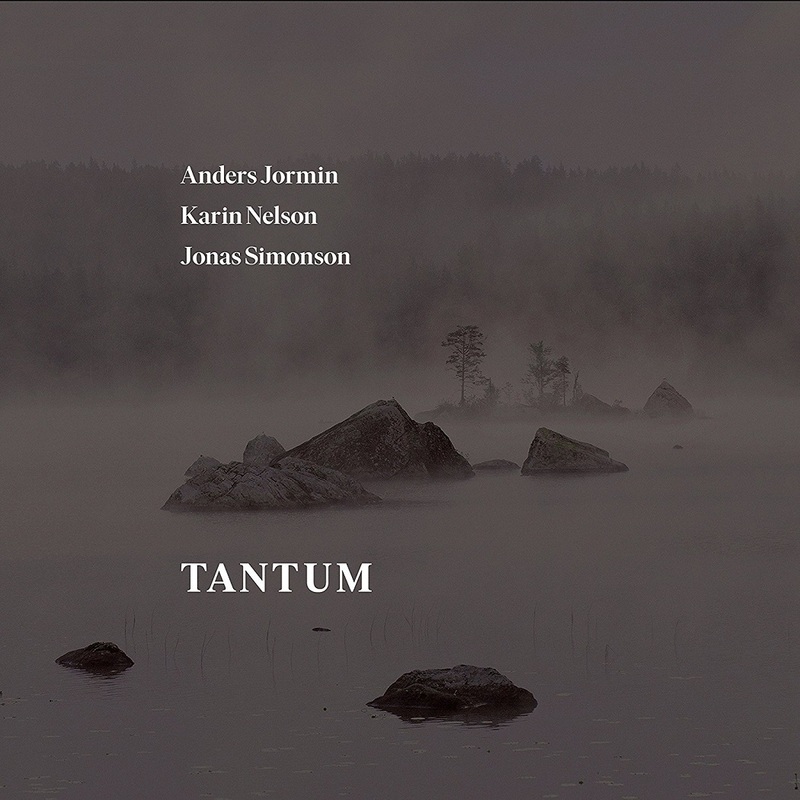 ANDERS JORMIN is a renowned jazz bassist with the world as his workplace, touring with various constellations of internationally acclaimed names within jazz/ improv. A recipient of numerous awards and prizes for his unique artistry, he also holds an honorary doctorate at the Sibelius Academy of the University of the Arts, Helsinki. In addition to this, he is Head of Improvisation at the Academy of Music and Drama, Gothenburg University. 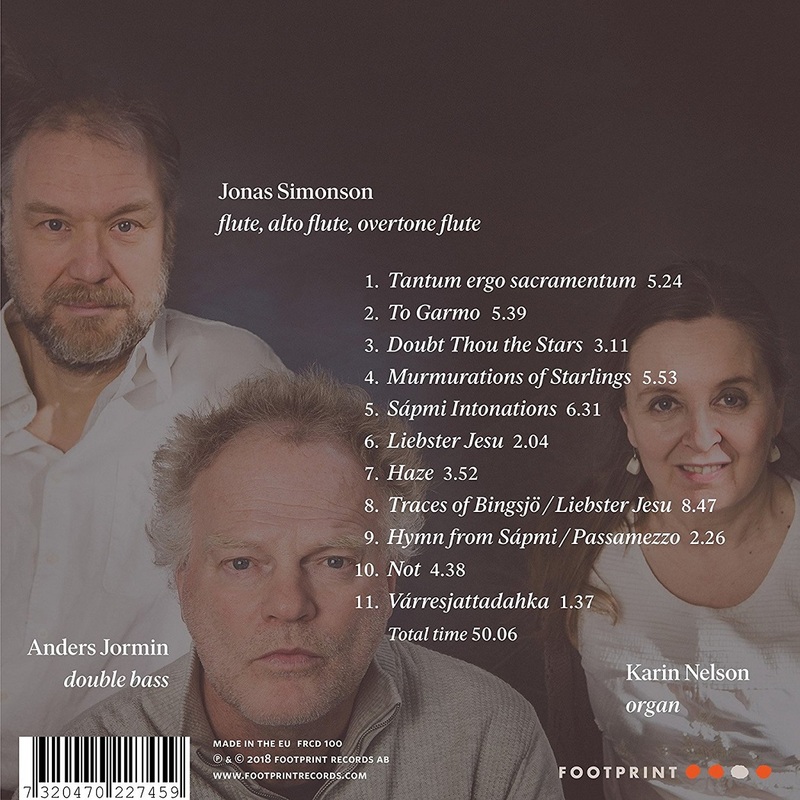 JONAS SIMONSON has carved out a solid reputation as a flutist in the folk and world music genres. He’s also contributed significantly to the evolution of modern Nordic folk music. For the past 30 years, he has traveled the globe with his rhythmic and personal style of musicianship. His work is featured on numerous recordings and he is a highly experienced and respected educator at the World Music department of the Academy of Music and Drama, University of Gothenburg. "Attainment itself puts you in the mood, with a homily à la Sun Ra before the saxophone takes the lead supported by growls from Olu Dara, among the strongest of free trumpeters. The beauty of this and the other tracks is that Brackeen keeps the most strident passages to a conversational level; on the dirge House of Gold he grips from the start." "Brackeen's tenor style is reminiscent of both Albert Ayler and Sonny Rollins; he is, though, more restrained and conventional than either, and has clearly picked his own path between models." Jazz and spirituality are old compadres. Of course, music had spiritual elements back at the very genesis of our sentience. These days, though, musicians often get lauded more for how many sessions they play on than for the ascendancy of what they're playing. If you have a resume that's as thick as a Dallas phone book you're a big deal, and if much of the work is specious and facile, so be it. 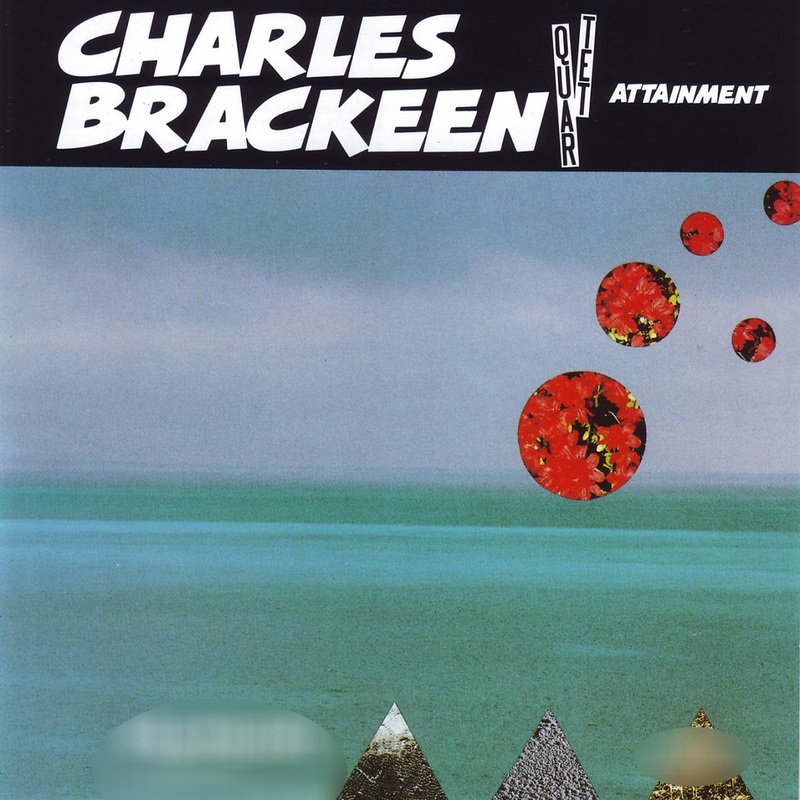 On the other hand, we have Charles Brackeen. The lengthy discography jazz buffs love so to natter about isn't present in the Brackeen scenario. The sessions he's been on have been with Paul Motian, Ronald Shannon Jackson, Don Cherry, Billy Higgins, and a few other individualistic jazzmen. Don't get me wrong, I've never heard Brackeen adopt any high falutin' attitude toward players who take any session they can get. But I have heard him call music his religion, and a man doesn't blur the focus of his religion with a lot of mercenary commerce. His most obvious tenor antecedents are Rollins and Coltrane. He also picked up on Amerindian rhythms while living in his native Oklahoma. In New York, he performed with West Indian musicians at outdoor community events in Brooklyn. In his own right he is a compelling player and there you have much of what matters in a jazz musician; good influences and individuality. The Brackeen story began in White's Chapel, Oklahoma, but if you sought White's Chapel on a map you'd not find it, because it is now called Eufaula, Oklahoma. He lived on what he calls a "semi-farm" replete with cattle and pigs. His aunt, a schoolteacher, taught him to play piano and violin, and since she was a church-going woman she had him accompany her in duets at both Sunday and weekday services. The young Brackeen took a liking to saxophones after hearing them in the school band, so this benevolent educator bought him an alto. After three years in Texas, Brackeen moved to New York, joining up with his sister and her husband who lived in the Bronx. Brackeen recollects that his brother-in-law was "on the hip side" and had a record collection that included stuff by Charlie Parker, Milt Jackson, Stan Getz, Sonny Rollins, Hampton Hawes, and other luminaries. He and Brackeen spent many an hour listening to records together. "Then later on I turned on to Clifford Brown and later still, to Miles Davis," remembers Brackeen. "Just came up the track like that and then I finally heard Coltrane. He grabbed me after I had already been grabbed by Sonny Rollins. This was both after Bird. I looked old enough to get a cabaret licence and was able to go and play on some of the sessions that were happenin'. The cats were so nice and sweet, I had to play when I walked into a club, they would insist , and that was very encouraging to me. One good cat was Bobby Capers, alto player, we got to know each other. Then there was another man called Royal Hall, nobody knows too much about him but he taught me a lot." "He knew all the cats," Brackeen says. "He knew Sonny Rollins, and Sonny came to visit him a lot. He knew Percy Heath, we lived in the same project where Percy was living, right behind Giant's Stadium, where Giant's Stadium originally was. We would see him carrying his bass back and forth to gigs. I would hear this tenor sax playing, and I'd really come to love the tenor, and each time I'd hear this cat, it was like I'd get a bubble in my heart! Finally I met him, and it turned out he had a lot of conservatory learning, and a lot of records. He was a somewhat older cat than me. He'd start out by telling me what the cats were doing, like Trane and Miles, and then he'd show me, on his piano. We were like fanatics. Music was our worship." In addition to record collections, Brackeen tapped the multiethnic musicality of New York. He got acquainted with some West Indian musicians, and played with them on various occasions. "It was fun playing those gigs," he states. "It was also very interesting because of the different rhythms, the different colors they'd come up with. Those gigs were usually in Brooklyn, I'd moved to Manhattan by then. They were big community happenings with tables of food, and between the smells of the food, and the rhythms, and all the Panamanian people around – it was really something! Sometimes we'd play on the Staten Island ferry, too. Accompanying Brackeen on the Brooklyn dates was a kindred spirit, trumpeter Ahmed Abdullah. He'd met Brackeen in 1970 at a meeting of the Black Artists' Collective, which Brackeen attended clad in a floor-length cape. ("He was obviously a very different kind of cat," observes Ahmed. "Full of imagery!") Ahmed recalled suggestions that he join forces with this saxist whose creativity and committment paralleled his own. They formed the Melodic Art-tet with drummer Roger Blank (who got the gigs for the group) and the late bassist Ronny Boykins. 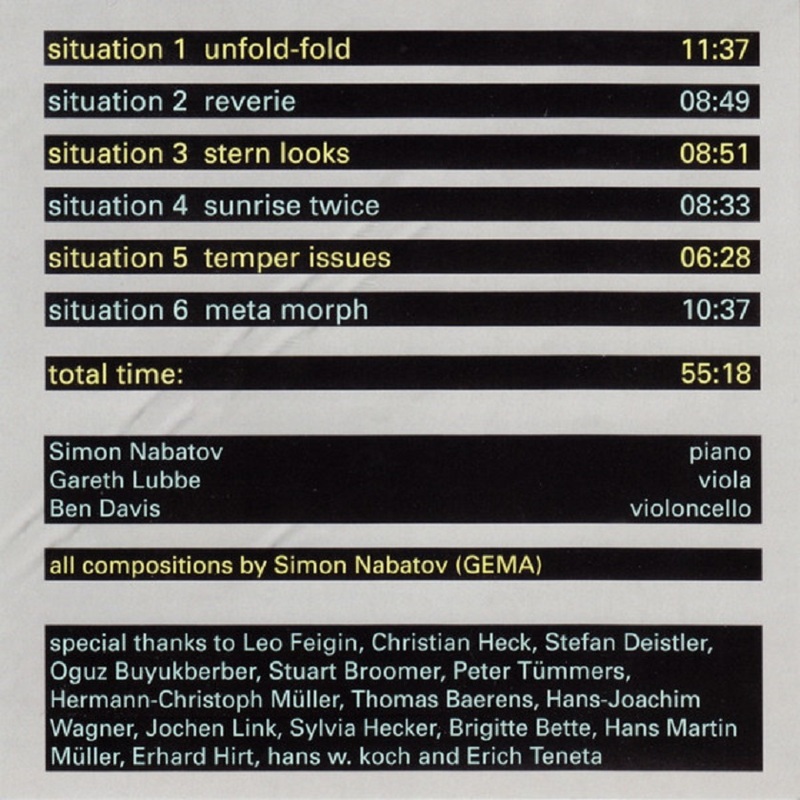 The Art-tet showcased the compositions of Brackeen. They appeared less frequently in night clubs than in lofts, and performed with some regularity at Sam Rivers' studio in the Soho part of Greenwich Village. The group lasted from 1970-72. "After the Melodic Art-tet, most of my gigs were with Edward Blackwell," says Brackeen. "We did a lot of duo things, and we did a few things with (bassist) Mark Helias and Ahmed. Again, it was mostly in the lofts, and we also did a few college things. Then I started rehearsing with Paul Motian, who had known about me because Charlie Haden had told him about me. I also did some playing with Don Cherry." It sounds like Brackeen stayed busy and productive in New York, but these days he says the interval was fraught with "dark periods". "It was so dark I didn't know what was comin' or goin', sideways or crossways," offered the saxist. "Musically, it seemed New York was happenin', that was the obvious way to think. But the Lord said it was time for a change in my life." Brackeen and the Lord decided California was a good place to get away from these dark periods, so in 1983 the saxist settled in Los Angeles. Most musicians go to L.A. to tap into the often lucrative studio scene there, but not Brackeen. "When I first got there I didn't play sessions or gigs that much," says Brackeen. "I just tried to practice as much as I could. I wasn't familiar with the town, and when I would go 'round to the places with my horn, there wasn't nothin' happenin'! It was either very heavy funk, or blues, which is cool, but it isn't what I wanted to play! So I didn't go out that much, I'd just stay home, or go to the park, because music is my life. It's like I don't live in the world around us – I live in the music. Right around Thanksgiving Day in 1987, the too-scant recorded legacy of this uncompromising reedman was expanded by sessions conducted in Dallas that yielded two LPs with Brackeen as leader, Worshippers Come Nigh and this effort, Attainment. He had never before worked with bassist Fred Hopkins, drummer Andrew Cyrille, or cornetist Olu Dara. He arrived with several new compositions; the rest date from his New York days. There is a scene in the movie Apocalypse Now in which Martin Sheen and another actor are staring raptly at a virtual tapestry of vegetation in a dark, creepy jungle. A tiger leaps forth, but the audience sensed that there was power behind that wall of weeds before the big feline was actually sighted. Forgive me for imagism but Brackeen's playing evokes that scene to me. His playing is compelling on the surface, like that omnious wall of vegetation, but it also seems to bide a great, and profound, intensity. This LP's first selection is "News Stand", one of the most recently composed of the numbers here. No, its title was not suggested by any particular news stand; Brackeen says that the fillips comprising its head came to him like "news flashes". Certainly the tune is busy and bustling like some big city newspaper store might be. (Brackeen may have been raised on a farm but he's a quintessentially urban player to me; all the pictures his playing brings to my head are city pictures.) Brackeen's solo is roiling, turbulent. Olu Dara's cornet solo is trim and clear-cut by contrast. As for Fred Hopkins, he contributes the first of the remarkable solos he will do on this record. It won't do to cull their highlights, better just listen to them closely! "Prince of Night" dates back from the New York interval and was in fact one of the pieces performed frequently at Sam Rivers'. Its loping opening notes harken (to this writer's ears, anyway) to Amerindian chants, and then it becomes a straightfaced, no-nonsense blowing tune. Brackeen is a singularly fluid improviser who starts a statement ordinarily enough and then evolves it into mutant, surreal forms that connote the original take-off point. Olu Dara's solo here is just great, with flow and whimsy. The remarkable title track opens with drums, but the thumping you hear isn't Andrew Cyrille's bass drum, but a toy marching drum. Other colors are provided by berimbau and pao de chuva (the latter is a Brazilian shaker within which are seashell fragments and pebbles). You'll notice that Fred Hopkins achieves an unusual, almost abrasive bass sound. He's fretting normally enough with his left hand but he's striking the strings with a drumstick in his right. As said, it's a mite abrasive, but it's entirely within the context of this outstanding, stirring musical endeavor. Far too many jazz works these days are not "compositions" at all but merely hooks from which depend solos unheightened by their uninspired setting. 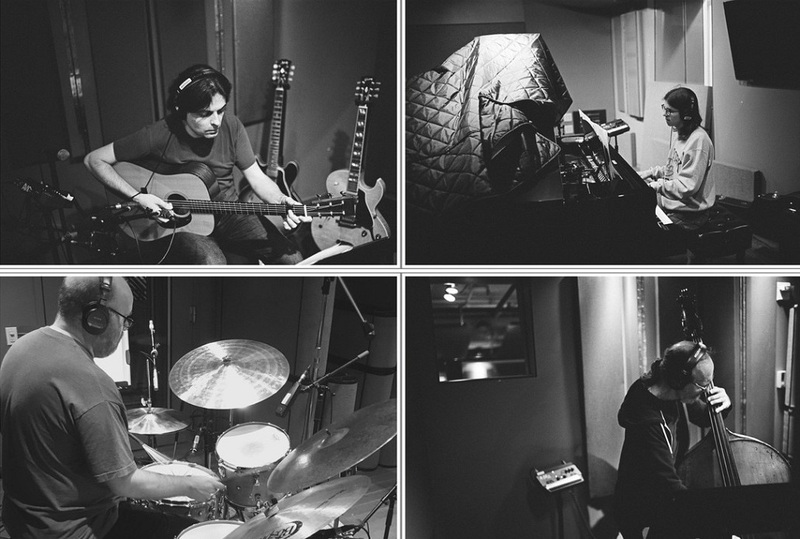 By contrast," Attainment" is a cohesive, gratifyingly complete set of musical pictures. It has diversity within itself, as well; introduction, improvisation, chant, denouement, and ending. Brackeen and Olo play off each other entrancingly here; Brakeen, feisty and fervid, Dara languid, making smart use of spaces. "House of Gold", by the trio without Dara, is a magnificent tour de force for Brackeen. "Yogan Love"... runs the gamut of sax sounds from lazy to brittle, from subtle to downright lurid. Pay close attention to the no-holes framework Hopkins and Cyrille build here. After the Dallas sessions, Brackeen returned to California. Los Angeles is supposedly a swell town for musicians, but it still has no abundance of opportunities for Brackeen to perform his significant musical art. I will resist a temptation here to berate the listening public for missing out on music like his, as they mistake glossy showbiz types for musicians, and support song and dance acts who are popular, rather than aural artists who have something to say Well, as the old blues song says, don't start me talkin'. You'd do better to listen, and listen closely to the music of Charles Brackeen. "The overwhelming impression I took from this most interesting recording was one of mellow warmth. A fine, inspiring release." 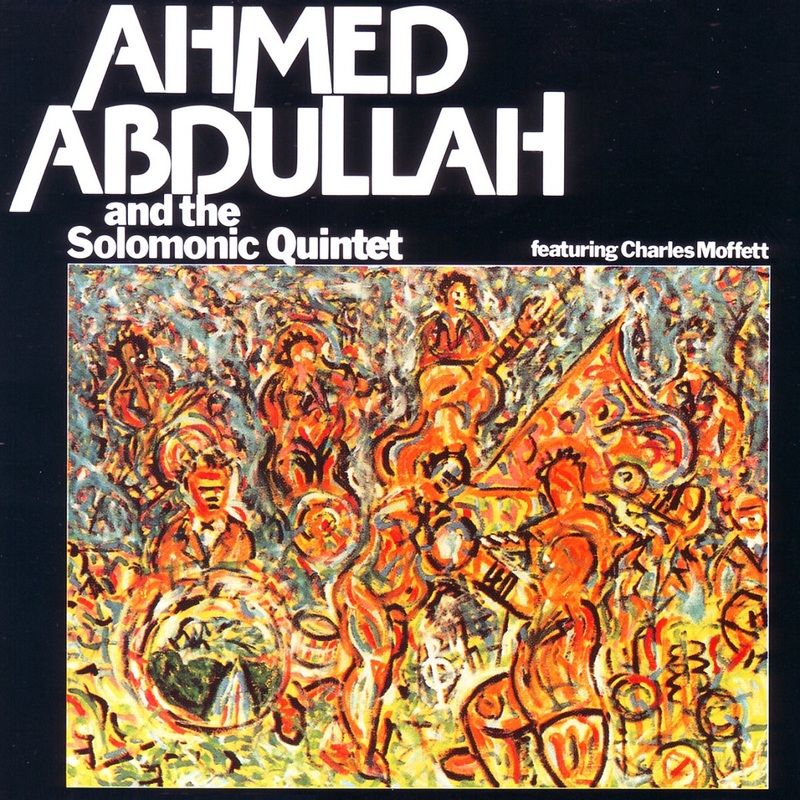 First impressions of Ahmed Abdullah's Solomonic Quintet: the deftly shifting rhythms of the dance, the soulful inflection of the song, and, always, clarity and balance. At first it was the Solomonic Quartet – trumpet, tenor, bass and drums, a drier, more brittle sound. But the essentials were there. Charles Moffett's crisply articulated drumming, soft shoe pitter-pat circling in a ring dance inside your head, pivoting on the earth-bow throb of Fred Hopkins' bass. Ahmed Abdullah's trumpet, the clean bright call of shining brass echoing the proud lineage of Lee Morgan, Clifford Brown, Fats Navarro, but singing of today. The gruffer linearity of the tenor, played by Chico Freeman at those early gigs, then the passionate but deliberately paced talespinning of David S. Ware. A band chanting the ancient wisdom of African diaspora with the immediacy of today's media-saturated, computer-linked global dialogue. If you hear the horns as voices, and the bass and drums as impulse and motion, then Masujaa's electric guitar is the spark that jumps from synapse to synapse, resonating the voices and the motive rhythms, facilitating dialogue and dance. It's the most recent addition to a music that's been germinating awhile now, and it has brought further clarification, a sense that each element has found its proper place. The music of the Solomonic Quintet is still volatile, still ripe with discovery, but there is also a sense of setting, a certain hard-won sufficiency. The musicians and the music sing as one voice now. One voice with many stories to tell, many points of view. Each of these musicians has tempered his training and inclinations and God-given talent in working situations where one is consistently called on to play at or beyond one's peak capacity, where the impulse to transcend becomes internalized, if not routine. Ahmed Abdullah's trumpet has been heard in big bands and small groups led by some of the most celebrated and discerning composer-players on the New York scene. Most recently, he has been a motivating force in The Group, a cooperative unit that also includes Marion Brown, Sirone and Andrew Cyrille. But he has been heard to best advantage with his own bands, which have consistently been characterized by balance, directness, and sense of purpose; the present Solomonic Quintet brings his gifts as a composer and improviser into even sharper focus. 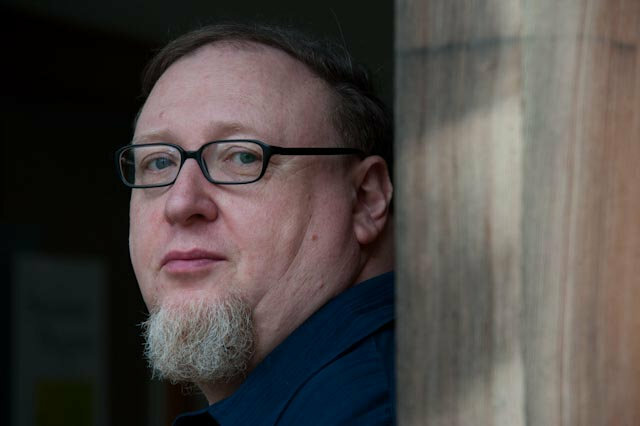 David Ware, playing both tenor and stritch in this context, is a former member of the ensembles of Andrew Cyrille, Milford Graves and Cecil Taylor. Masujaa, notable for the breadth of his musical interest, recorded with Ahmed Abdullah in the early 70s on a section of Douglas Records' Wildflower Series. He has recorded more recently with Ronald Shannon Jackson's The Decoding Society, and currently plays with his own group, X Factor. Fred Hopkins has appeared on more than 60 recordings, always bringing warmth and wit to a unique style of playing bass, which is both percussive and richly melodic. This, delivered with an extraordinary exactness of timing, can be heard to great advantage here on El Canto. Charles Moffett grew to musical maturity in Fort Worth, Texas, where he played in teenage bands alongside future giants such as Ornette Coleman, Dewey Redman, and Prince Lasha. Some years later, he helped Coleman and bassist David Izenson redefine the most basic notions of group playing, in a trio documented most enduringly on the two Blue Note LP's "Live at the Golden Circle," recorded in Stockholm. Any account of his subsequent contributions would have to include the raising of a very musical family that includes his son Charnett, now a recording artist in his own right. Charles Moffett is the creator of a unique approach to polyrhythmic percussion, combining dexterity, precision, and heart. Each part of the drum kit has its own role to play in a shifting, mercurial, light-handed, sure-footed dialogue of rhythms. At the same time, all the parts cohere, so that Moffett's drumming speaks with brisk, sharply-defined authority. The Solomonic Quintet manages to be more than the sum of its very considerable parts, and that in itself is no small achievement. But the most impressive thing about this music is the way it feels. The depth-of-field you find in the blues is wedded to the improvisational freedoms of jazz and the plainspeaking-but-highstepping immediacy of African and Caribbean rhythms and song forms, all without a hint or artifice or strain. The music is sinewy, substantial, easy to listen to and hard to forget. It satisfies on every level, and that is rare indeed.